Quite parallel to the philosophy and methodology of Waldorf Education, this says that a true education must draw from the wells of feeling and willing as well as thinking, which makes the human being whole. Translation re this standard: though it is necessary to reason abstractly and quantitatively, educators must not lose sight of the necessity to reason concretely and qualitatively when educating the young child. With that in mind, let’s dive in. Today’s standard is more dense and complex, therefore it will need to be broken up into smaller parts. The parts of the standard will appear in blue, and its ambient counterparts will follow. Whew, now that’s a mouthful. I am having trouble seeing a well-intentioned, very capable, nurturing Kindergarten teacher (or homeschooling parent) taking this to heart and translating it into coherent, lively lesson plans. With the painful consciousness that this requirement will be translated into questions on a test that s/he needs to be teaching towards. It takes time for a child to grow into him or herself sufficiently to be able to handle abstract symbols, since consciousness of the young child is concrete by nature. That is why I’ve recommended that numerical symbols (the Arabic numerals) not be used in Kindergarten, because it’s too great a leap from . . to 2. the Day 6 and Day 11 posts focus on how to add and subtract using counting lines rather than numbers. 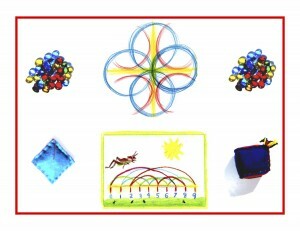 The symbols do indeed have a life of their own, and that goes for letters as well as numbers. Numbers are introduced in the first grade in conjunction with stories and geometric forms, to demonstrate their individual “personalities,” making math more friendly and approachable while giving the number symbols their due. All of the posts reviewed in the Free Play segment, Days 24-26, reflect an attention to gradually instilling a consciousness for calculation. There’s little need to recontextualize if decontextualizing is minimal to nil. It can be all of a piece, with manipulation happening only in context. By the way, in the Waldorf system all 4 processes are introduced at once, very simply, in the first grade so that the whole picture is given from the very beginning. All of the posts mentioned above (Days 24-26) attend to this, but especially Day 11. The operations signs for plus and minus are introduced as “and” and “take away” and the equal sign is introduced as “is” enabling calculation with objects.